FRSC Denies Ambushing, Extorting Motorists Over New Number Plate. - AutoReportNG "AutoReportNG-The No 1 Car Blog In Nigeria That You Can Trust - AutoReportNG"
Home / FRSC / News / Nigeria / FRSC Denies Ambushing, Extorting Motorists Over New Number Plate. 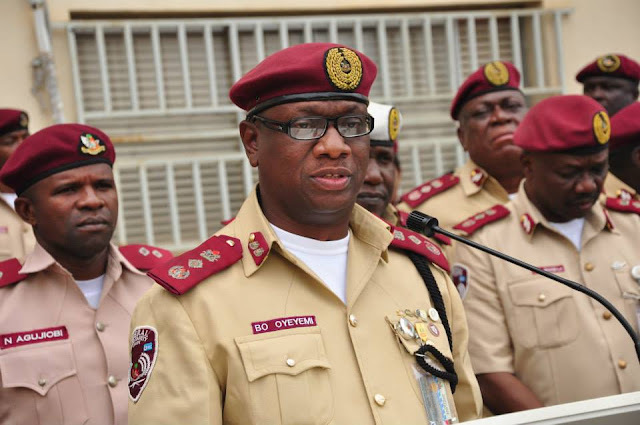 FRSC Denies Ambushing, Extorting Motorists Over New Number Plate. The attention of the Federal Road Safety Corps has been drawn to a story in the press alleging "ambush" and "extortion", by the Corps over new number plates. The Corps Marshal Dr Boboye Oyeyemi also ensured that the Corps undertook a public enlightenment on the security benefits of changing from the old to the new number plate at the point of renewing their vehicle documents which have only one year validity period. Kazeem said that item 4 of the communiqué issued at the end of the 136th meeting of the Joint Tax Board (JTB) held on the 28thNovember, 2016 at Transcorp Hilton Hotel, Abuja, states categorically that the renewal of vehicle particulars on the old number plates will be discontinued effect from the next due date as measure to check fraud and enhance revenue collection. Further to this, Kazeem stated that the security feature of the new number plate is one of the key reasons motorists are expected to accept the introduction as the National Uniform Licensing Scheme (NULS) helps in the harmonization of data both of vehicles and drivers information system in the central database.